Gyeon ClayLube will provide proper lubrication for your clay bar needs! In general, clay lubes are great because they encapsulate embedded surface contamination, allowing you to remove it from the paint safely and easily. With ClayLube, Gyeon came up with a unique formula that helps encapsulate minor (dust, dirt, fingerprints, bugs, etc.) and embedded contaminants so that you can safely remove them from the paint without introducing imperfections. The formula is very dense, so with only a few sprays you will be left with an extremely slick surface, which reduces friction and increases lubricity to help reduce unwanted digging and marring. You will be able to perform your clay bar detailing step without having to worry about any unwanted marring, scratches, etc. ClayLube is pH neutral and can be diluted down to 10:1, giving you a great value in every bottle. If you are looking for a great deal on a high end clay lube, the Gyeon ClayLube is a great choice! Clay lube is the ultimate aid for safer, faster and more effective paint decontamination. Apply directly onto washed paintwork. Use clay on the wet surface created by claylube to decontaminate it. After claying is completed, rinse with a pressure washer and dry. If Claylube dries on your paint wipe if off with a light solution of Q2M Bathe. Dry the surface with a suitable cloth. 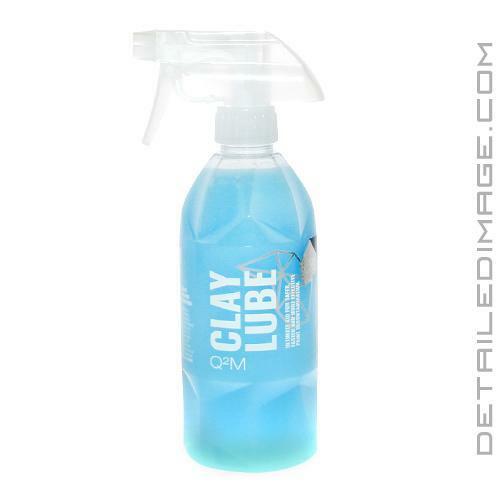 Claylube is used for maximum slickness and doesn't harm any claybar.